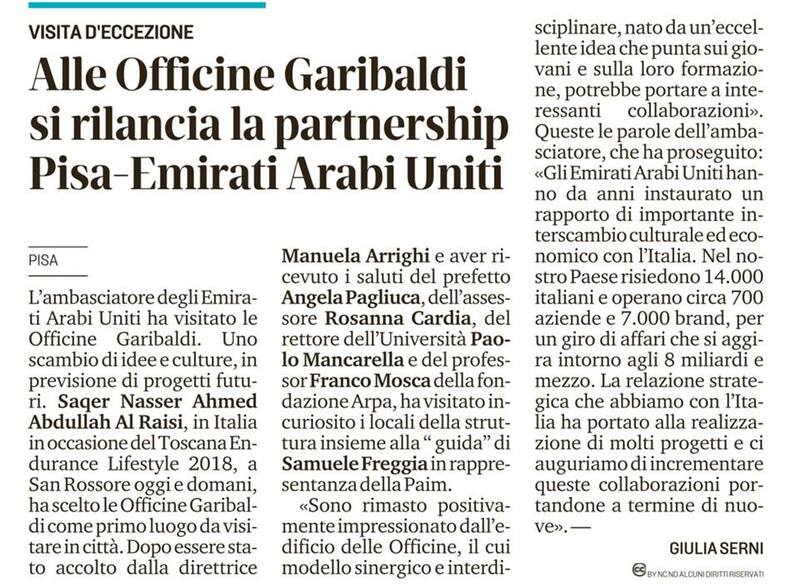 The Ambassador of the United Arab Emirates, Saqer Al Raisi, in Italy on the occasion of the Tuscany Endurance Lifestyle 2018, has chosen the Officine Garibaldi as the first place to visit in the city. I was positively impressed by the Officine building, whose synergistic and interdisciplinary model, born from an excellent idea that focuses on young people and their training, could lead to interesting collaborations. Words of appreciation for the building of via Gioberti, designed by the architect Salvatore Re and by Leonardo srl.